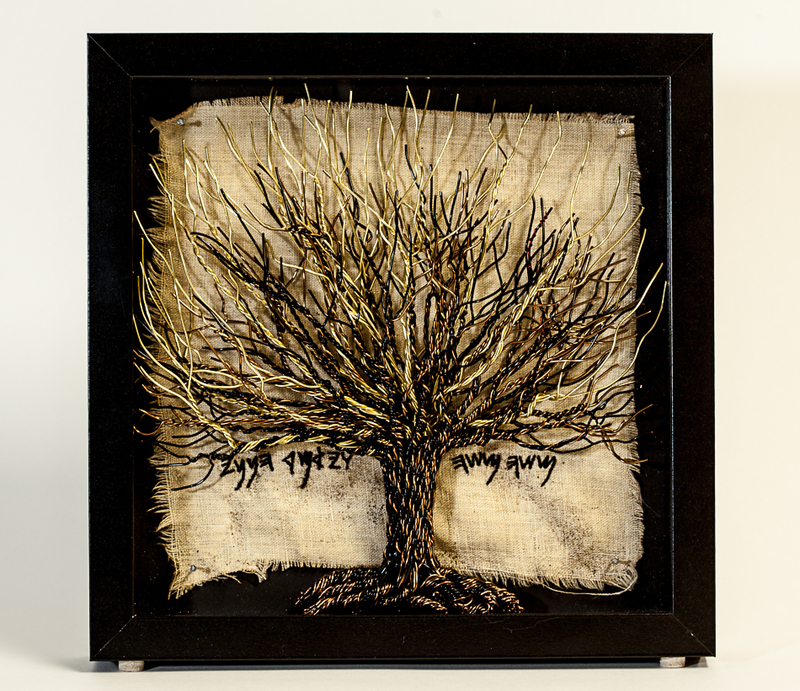 This tree sculpture was a family effort: the tree sculpture is mine, the embroidery was done by Sophia Alexandra Gilbert, and the dying of the cloth was done by Aletheia Gilbert. The piece is a reference to Exodus 3:4 when Moses sees the burning bush, and יהוה calls out to Moses. The text is embroidered in Meša Old Hebrew, how Hebrew was written c. 840 BCE. The shadow box is 9x9".